Jeddah - November 2018: Al Rabie Saudi Food Co. Ltd. has participated for the eighth time in a row in the Arab Beverages Conference & Exhibition - held in Dubai on November 4-5, 2018 - , as a Golden Sponsor. The company is always committed to R&D and innovation in collaboration with Juices and Dairy industry professionals, in order to deliver unique products that are compatible with the sustainable development of the market and the consumers’ needs in the Middle East. Dr. Jarrah Al Jarrah, Chief Operating Officer of Al Rabie Saudi Food Co. Ltd. said: "Our continuous and effective participation in the conference is a result of our passion to be fully aware of the latest local and international developments in the fields of production, processing and packaging, as well as the latest developments in international markets with local Arab visions. The conference is a great opportunity for businessmen and investors in this field to meet the competent entities in the manufacturing of juices and dairy mainly to benefit from insights on of future of this industry". "The world is going through great changes and challenges that we have to face, and in my view, our participation this year came from our belief that during this big conference we will be discussing the global economy within our field of activity. Packaging and production witness continuous innovation, and we focus on modern technology that meet the needs of consumers in the healthiest way; what we aspire for at Al Rabie is first and foremost: ultimate consumer satisfaction under our slogan of “health for all”. 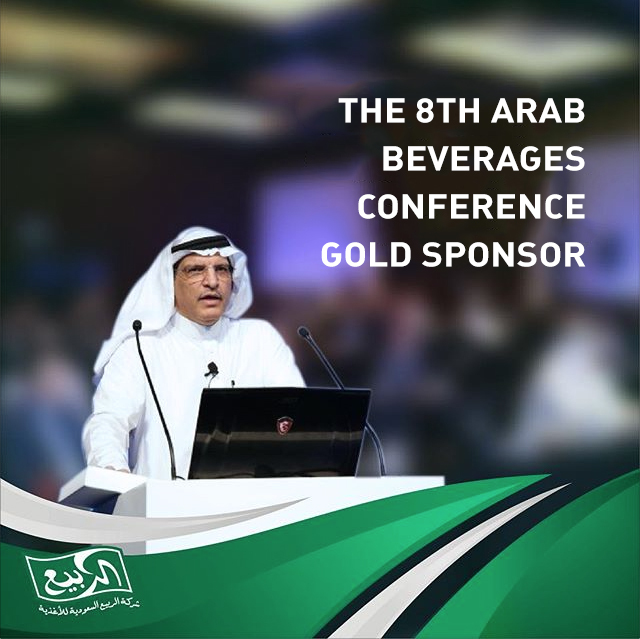 The Arab Beverage Conference is one of the largest and most important conferences held in the Middle East, where many major beverage manufacturers meet. Under the slogan "Waves of Change", the conference took place in the presence of manufacturers, suppliers, decision makers and brands in the Arab markets, providing detailed and fruitful explanations of the impact of current and future variables and all trends and issues related to health and the latest global methods of packaging. Moreover, the ABCE is an occasion to review the latest developments and news useful in the field of juices, quality assurance and environmental improvement while the most important marketing campaigns during the past year in the Arab region were also highlighted.